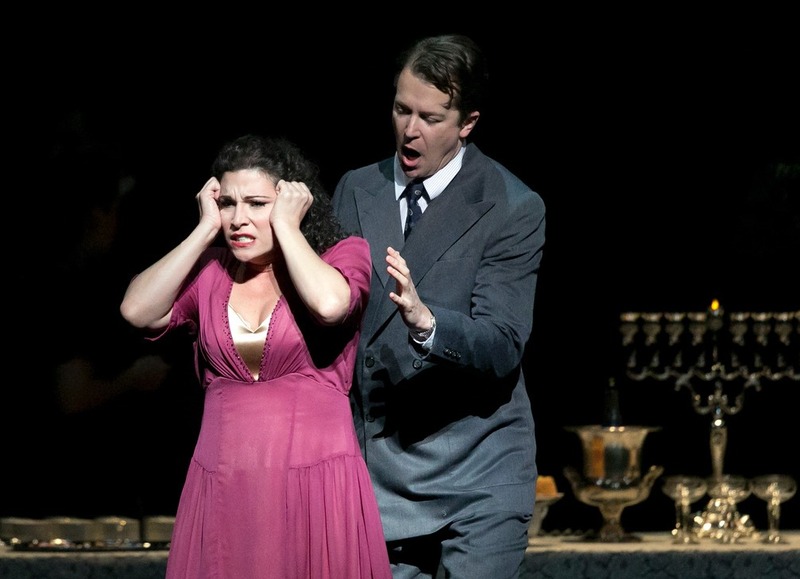 Palm Beach Opera’s “Enemies, A Love Story” Friday, February 20, 2015. Overview: A brilliant new opera based on the novel by Isaac Bashevis Singer, which also inspired an award-winning film adaptation. Sung in English with projected English supertitles, Enemies, A Love Story was workshopped as part of Kentucky Opera’s Composer’s Workshop Series in 2009 with piano only. A second workshop at Kentucky Opera featured a full orchestra in collaboration with the University of Louisville in 2011. The World Premiere of Enemies, A Love Story happened at Palm Beach Opera in 2015. The Wall Street Journal praised the production’s “soaring Puccinian lines, folk tunes and klezmer melodies.” This will be the production’s second full staging. Secrets and lies. That’s the life of Herman Broder, ghostwriter for a famous rabbi in 1948 New York. Herman escaped from the Nazis thanks to his current wife who hid him in a hayloft. But he’s really in love with his mistress, a concentration camp survivor, whom he also marries. And then his first wife – who supposedly died in the Holocaust – suddenly reappears! Watch what happens when everybody finally meets in this darkly funny and deeply moving tale of hope and fatalism. Full Cast: Kentucky Opera has assembled a world-class cast of singers, many of whom are making their debut with the company. Sponsors: Sponsors of Enemies, a Love Story include the Jewish Heritage Fund for Excellence, Production Sponsor Claudia W. Muir, and Conductor Sponsor Stock Yards Bank. Sponsors of the Brown-Forman 2018/19 Season include Brown-Forman, Fund for the Arts, Hilliard-Lyons, Hardscuffle, Inc., Blue Grass MOTORSPORT, Treyton Oak Towers, Marriott Louisville Downtown, The Kentucky Arts Council, The Kentucky Center, Louisville Metro Government, Art Works, 90.5 WUOL Classical Louisville, Hawthorn Suites, Stoll Keenon Ogden PLLC, Fifth Third Bank, Bed and Bike, Bingham Greenbaum Doll LLP, The Brown Hotel, The Gheens Foundation, Gist Piano Center, Davis Jewelers, Cellar Door Chocolates, and In Bloom Again Floral Designs. Louisville, KY 40205You’re invited to an intimate evening of music and discussion with the artists of Enemies, A Love Story — featuring composer Ben Moore along with author, scholar, and librettist Nahma Sandrow. 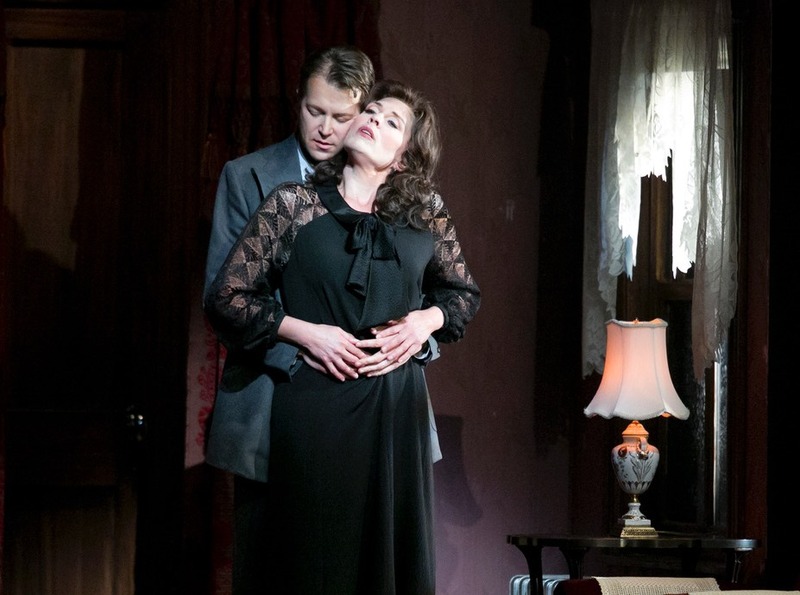 Plus performances from Enemies, A Love Story by Kentucky Opera’s Main Stage Artists. This is a brilliant new opera based on the novel by I. B. Singer, which also inspired an award-winning movie. It was featured as part of Kentucky Opera’s Composer Workshop in the fall of 2009 and 2011. Kentucky Opera is thrilled to bring it home to Louisville for its second Main Stage premiere.Admission to the event is free. Louisville, KY 40203Join composer Ben Moore, librettist Nahma Sandrow, and conductor David Stern for a lively discussion of Enemies, a Love Story. The production was first workshopped at Kentucky Opera and now returns in a full-scale production at the Brown Theatre.The event is free, but tickets are required. To reserve tickets, call (502) 574-1644. Lunch & Listen – November 1 at Noon. Broadcast live through a partnership with MetroTV and WUOL at the Louisville Public Media Studios, Lunch & Listen is a unique opportunity to meet mainstage artists performing live selections from our upcoming opera production. Grab a bite before your performance, right in the Brown Theatre. It’s easy and convenient. Enjoy a variety of heavy hors d’oeuvres and a cash bar Friday before the show begins ($20 per person). On Sunday, enjoy a variety of brunch items and a cash bar ($15 per person). Held in conjunction with the Opera Preview event in the Brown Theatre Second Floor Rehearsal Room. Space is limited. To make reservations, call Rachel Chance at (502) 561-7933 or email rachel_chance@kyopera.org. All proceeds benefit the Kentucky Opera. NEW THIS SEASON! You will have a unique opportunity to go behind the scenes as we deconstruct what you have experienced on stage with the cast and creative team. Join us in the Fifth Third Conference Center of the Brown Theatre immediately following the Sunday performance of each opera. Light refreshments will be provided. Palm Beach Opera’s “Enemies, A Love Story” Friday, February 20, 2015.STUDENT TICKETS: Kentucky Opera is committed to our community and the next generation of opera goers. Students are invited to attend the Final Dress Rehearsal at the Brown Theatre on Wednesday, November 7th. Tickets are $5. Students are encouraged to arrive for the Opera Preview Discussion with Manager of Education and Engagement, Aubrey Baker. Doors open at 5:30 pm. Final dress rehearsal begins at 7 pm. Currently, in its 67th season of production, Kentucky Opera was founded in 1952 and designated the State Opera of Kentucky in 1982. The mission of Kentucky Opera is to entertain and educate a broad, diverse audience by producing opera of the highest quality. Follow the Kentucky Opera on Facebook, Twitter, Instagram and Pinterest. The Kentucky Arts Council, the state arts agency, supports Kentucky Opera with state tax dollars and federal funding from the National Endowment for the Arts. *Photos by Bruce Bennett for Palm Beach Opera.